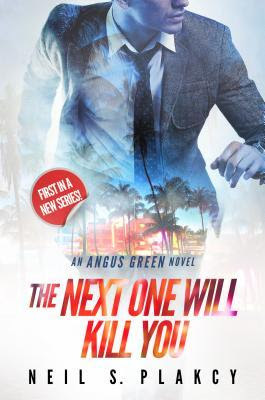 Angus Green had wanted more than a boring desk job, so he joined the FBI and was assigned to work in Miami. As a rookie, he didn't expect to work visible cases, but he happened to be participating in a strip trivia contest at the gay bar colleagues were supposed to meet an informant. Because Angus knows that crowd best, he was then reassigned to help them with the anti-terrorism task force. Through people he knew or were able to approach, he not only found out what happened to the missing informant, but also discovered ties to drugs, trafficking, medical fraud, and jewel theft. Not bad for a first serious case! As the opener for a suspenseful police procedural, Angus does a very good job of being an approachable and likable protagonist. There is enough depth to his character to make him believable, and Angus also has his selfish moments and blunders to balance out the fantastically beneficial timing he has. He gets along well with a number of the FBI colleagues he works with, and enough of the procedures and lingo is explained in a fluid way so novices can understand what Angus is doing. There are subplots involving his brother Daniel and mentions of other law enforcement officials that are woven into the main story without distracting from it, though it certainly distracts Angus. Likely these characters will show up again in later books and have a much larger role. Miami was as much a character as the people Angus met or interacted with, and the setting was very vividly described. All in all, a great first book in a series that makes me want to check out future cases.